Pokemon Pikachu Wall Scroll Poster - Wall Art - Anime Market: Buy and Sell Manga, Anime and More! 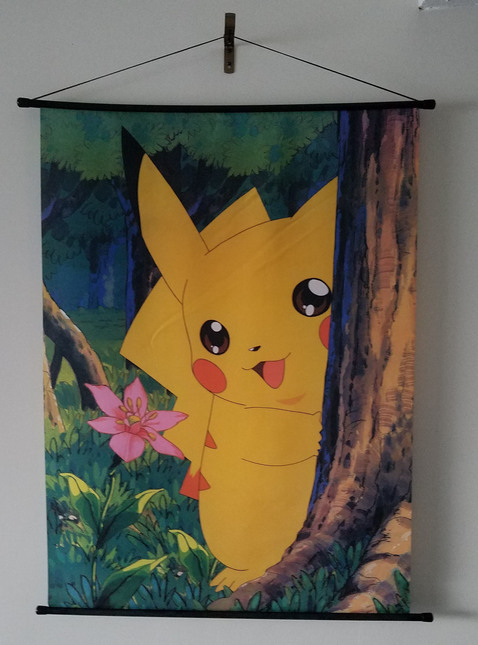 Cute Pikachu poster! It measures approx 29" wide and 39" long. Printed on fabric. Hangs on a nylon cord. Will ship rolled up in a tube mailer.